When in the workplace, you’re bound to have a meeting most weeks, whether it be sales, production, development or with a potential client. Most businesses have different ways of conducting them, either with a super advanced meeting room or a personal, one to one talk over coffee. Both have their advantages and disadvantages, but making them matter is what’s important. There’s very little point conducting meetings for the sake of it without the proper space or tools. You need to make meetings matter in the long run or they’ll eventually take too much time away from the real work without getting much sorted. 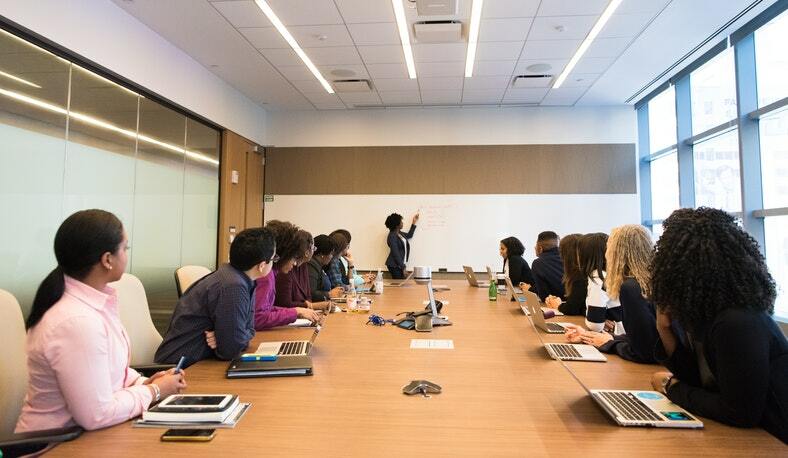 Kinly takes a look at ensuring that meetings truly matter in day-to-day workdays and how you could potentially improve them. At the top of the list for meetings should be flexibility, if your meetings and meeting rooms aren’t flexible to the needs of people in them, then they’re doomed to fail. You need meetings and video conferencing platforms that can adapt from meeting to meeting, whether it’s a production or sales meeting, it needs to already have settings adjusted for it. Everybody has been in that meeting that takes what seems like an eternity to set up, ending up pushing into your personal work time, potentially pushing back vital work that needs completing. Video conferencing platforms such as Microsoft Surface Hub and Cisco WebEx Teams are designed with the user experience in mind from the get-go. With clear, hi-definition cameras and speakers, it ensures that everybody is sitting onto the camera so nobody is left out. If somebody is off-camera speaking, then it auto-adjusts to fit them in. If you need to collaborate with the group during the meeting, you can easily share documents with the tap of a button and any device you need it on. This flexibility can’t be found elsewhere, if you choose to use the basic form of meeting platforms, you’re going to have to work around the platform rather than with it. Many people don’t believe it but the design and space you conduct your meeting in actually matters. If you have 10 people crammed into a small, grey room with very little chairs, it affects every person within that meeting, and it shows to the people your collaborating with who may not be in that situation. The room itself has to be adaptable, often with comfy furniture, open space and large windows to allow anyone in the meeting to share ideas, collaborate and build relationships are their own speed. At the center of it all, most businesses need the technology to allow for large-scale meetings to run smoothly and efficiently. You can only go so far with a small meeting with a couple of coffees. Microsoft Surface Hub and Cisco WebEx Teams enhance the meeting room experience to the next level, allowing for untold collaboration, across the globe. With Microsoft and Cisco dedicated to improving on the Surface Hub and WebEx Teams, you’ll be receiving constant updates with UI changes and updates to improve the platform. With 24/7 support for both, if you run into a problem, somebody is there to help you. No need to go run after the IT team for help and potentially draw them away from more pressing matters. Make your meetings matter today by getting in touch with a video conferencing platform provider such as Kinly!